Glutathione peroxidase (GPX, EC 1.11.1.9) represents an enzyme family with peroxidase activity whose main biological role is to protect the organism from oxidative damage. It helps prevent lipid peroxidation of cellular membranes by removing free peroxide in the cell. GPX catalyzes the following reaction with glutathione reductase (GR), Simple, direct and high-throughput assays for GPX activity find wide applications. 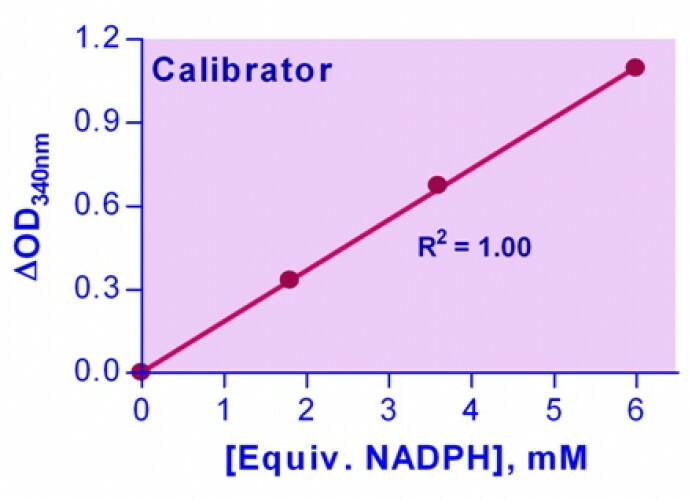 BioAssay Systems’ improved assay directly measures NADPH consumption in the enzyme coupled reactions. 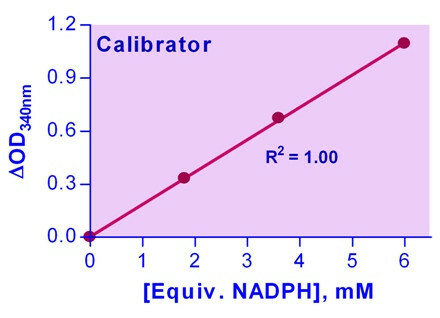 The measured decrease in optical density at 340 nm is directly proportional to the enzyme activity in the sample. Applications For quantitative determination of glutathione peroxidase activity and evaluation of drug effects on GPX activity. References Assay: Glutahione Peroxdiase in Deer Blood.